An international PhD student at the Department of Marketing and Supply Chain Management at Maastricht University, in the Netherlands, and Marie Curie Fellow at the Service Design for Innovation Network (SDIN), published her work developed during her stay at Fraunhofer AICOS at the 4th International Conference on Design4Health held in Melbourne, Australia, in December 2017. In this conference, insights of the area of research that results from the intersection between design and health were presented. The research of the hD student Martina Caic’s focuses on customer experiences in value networks, with a main interest in robotic and ambient assisted living technologies. 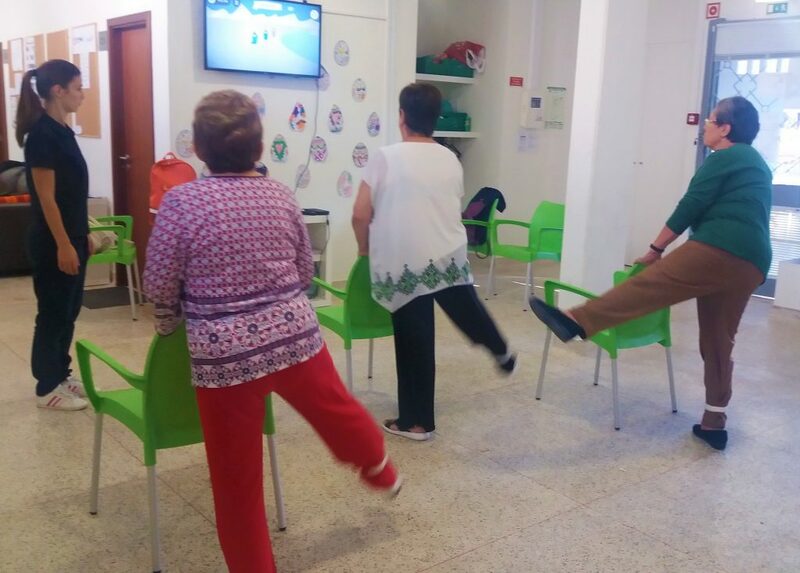 Martina has been at Fraunhofer AICOS as a visiting researcher and she made several observations of the sessions of physical exercise at a Portuguese day-care centre for older adults that is part of the user network COLABORAR over a period of three months. COLABORAR organized the field work for the student. 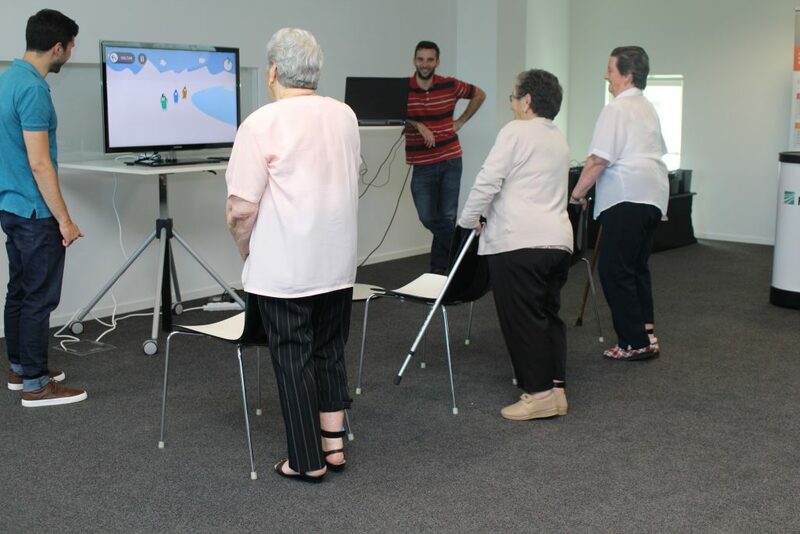 The article is entitled “Exergames for healthy ageing: Inclusion through design” and explores the technology appropriateness of the Fraunhofer AICOSs platform of physical exercise games for seniors designated Exergames. Martina’s work demonstrates the key factors for improving the chance of user uptake and acceptance of technology in this particular case study. The evolution of participants’ willingness to engage with the platform is documented as well. 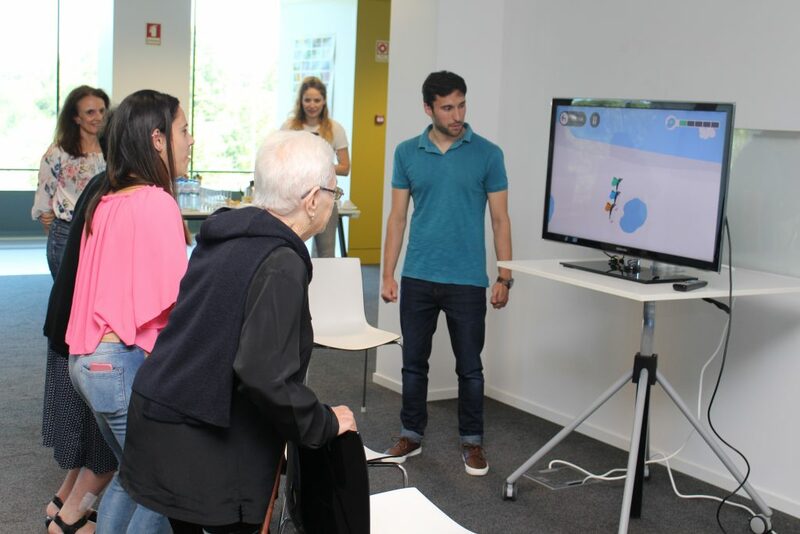 Martina also hilights the importance of engaging the elderly in their own care, since the exergame platform is intended to promote physical activity to older adults through entertaining video games. The full research paper is part of the proceedings of the conference and can be accessed here. FallSensing project researchers were at a living centre to talk about falls at senior age. 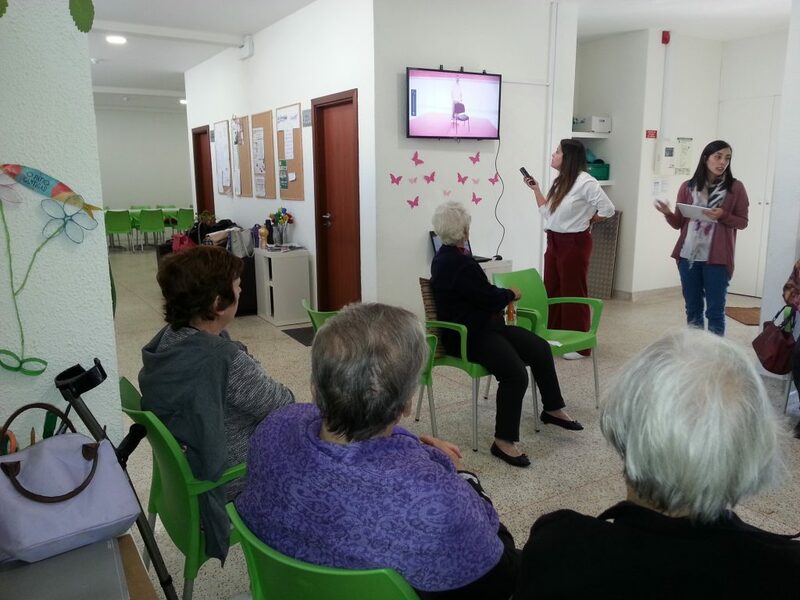 The seniors of the living center participated in the testing of this project, making an important contribution. In this session, near the end of the project, we talked about fall risk factors and how the technology can help the elderly to stay active through physical exercises for balance training and muscle strength. We answered questions that seniors posed about falls and everyone talked about their experiences of falls previously experienced. In general, the elderly have suffered at least one fall or at least know someone who has fallen. They are therefore sensitized to this problem and have been curious to learn more about ways to avoid falls. We took a tablet and showed the FallSensing application to let them know how technology can help. We have explained that, on the one hand, FallSensing‘s sensors help assess the risk of falls and that the application developed along with sensors can be an appealing way for people to take physical exercise specifically for falls prevention. In addition, we distributed leaflets with fall prevention information that were developed by FallSensing researchers. We also introduced the digital fall book of the Portuguese National Health Service (“Serviço Nacional de Saúde”). The session was very successful in that it was very interactive and everyone learned a little more about avoiding falls. Researchers, on the other hand, found that this issue continues to worry older people, as well as their caregivers who are receptive to new ways to prevent falls. 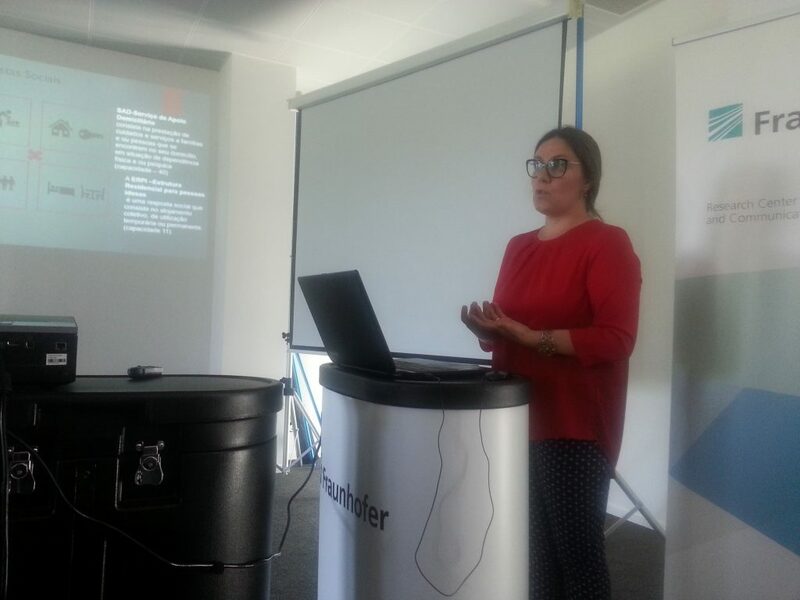 Márcia Neto, the technical-director of Associação Senhor do Bonfim, was at Fraunhofer Portugal AICOS to make a presentation about its institution: care settings, activities, socio-demographic charachterization of older adults and main challenges. Associação Senhor do Bonfim has been a COLABORAR partner institution for many years; their older adults often participate in our research activities of user-centred design and this proximity between them and researchers is very valuable. There are many projects that counted with their insights. More innovative projects are on the horizon and Associação Senhor do Bonfim has yet expressed its availability to be part of our future research. We have more news about FallSensing. This project that aims to develop tools for fall risk assessment, falls monitoring and prevention had many advances through the past months. Researchers and designers together created new games and couldn’t wait to test them! 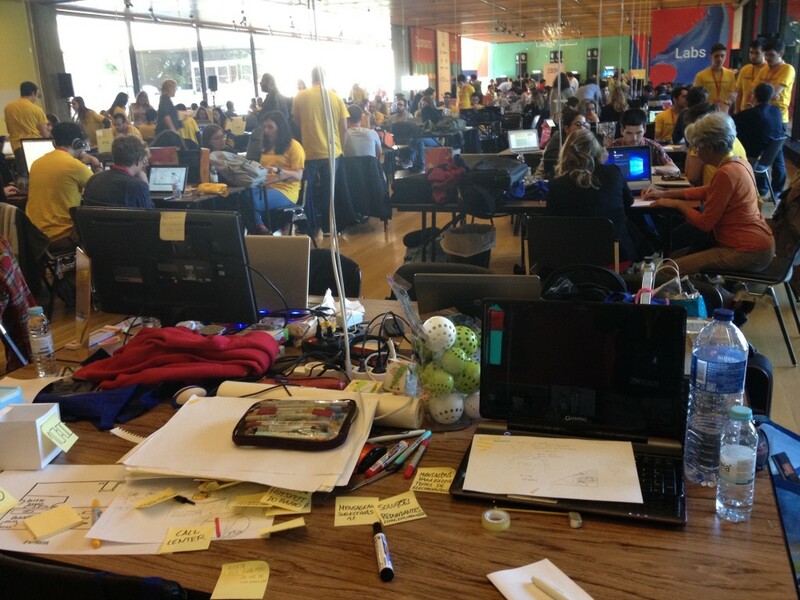 With the help of the volunteers in the user network COLABORAR, for sure. Therefore, we went to a living centre in Porto and organized some research activities. We started with the recruitment of participants, and then we applied tests and questionnaires to assess the fall risk of each user. Then, we scheduled tests with users at the centre. Both fall risk assessment and exercises for prevention were accompanied by a physiterapist. Researchers took notes of some details related to usability issues while seniors were playing the games. Researchers were also paying attention to questions related to comfort of body sensors that older adults were using to capture movements during the game, enabling the evaluation of their performance. The feedback from users was great, as they said they enjoyed playing in group with their friends. The laughts also indicate that they had a good time playing the FallSensing games. The team could not be as happy with the success of FallSensing! On July 11th Fraunhofer AICOS hosted a group of older adults from a day-care center from Abiúl, near Pombal, in the center region of Portugal. 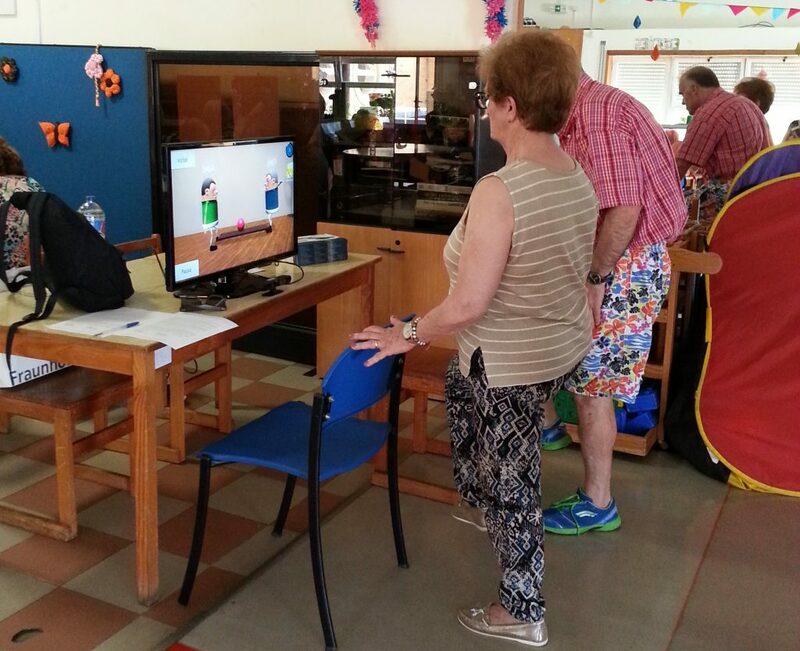 Researchers from the FallSensing project were holding some tests for the new physical exercise game and COLABORAR invited Fundação Dr. José Lourenço Júnior to try out the game. The activities at Fraunhofer included a visit to our facilities. They saw our work areas, with many computers. Then they went to the Software Lab, the laboratory in which we usually perform tests with users. The view from the office delighted our guests, since we have open spaces with large windows and we can see some universities and research centers, as well as one of the biggest Portuguese hospitals. The new FallSensing game is an easy, fun, physical game for fall prevention and is suited to be played by groups of three. The exercises required to play the game are based on a certified fall prevention program. The seniors from the day-care center were divided into groups to play the game. We can tell, by the laughs, that our guests enjoyed the game very much. This is a fun activity for the elderly! Furthermore, researchers tested the platform that aims to implement fall prevention programs in individuals aged 50 or older. The well known Fraunhofer‘s cognitive games for tablets named “Cogniplay” were available for seniors, over tea, juice and some biscuits. We are happy to be able to receive at Fraunhofer AICOS real end users giving important inputs to the study. And we are glad to provide older adults from Abiúl a different and happy day. We are glad that the pilot for the project DeMind has just begun! The pilot is taking place in Lisbon, at Santa Casa da Misericórdia de Lisboa (SCML), a partner of COLABORAR. This pilot aims to promote technology-based activities for seniors attending 6 day-care centres from SCML and is called “Tec-Conhecimento”. CogniPlay, the Fraunhofer AICOS‘ application for tablets of cognitive games, is available for the participants on this project. ISCTE – Instituto Universitário de Lisboa is also a project’s partner. The consortium comprised by these 3 institutions aims to study the integration of activities supported by technology, particularly tablets, on the daily habits of older adults at day-care centers and seniors’ acceptance. At the same time, usability aspects of the interfaces are also being studied. The project began with a presentation of CogniPlay to the technical staff of the centers. This project lasts until July and we are looking forward for its results. Note: Thank you SCML for the images. 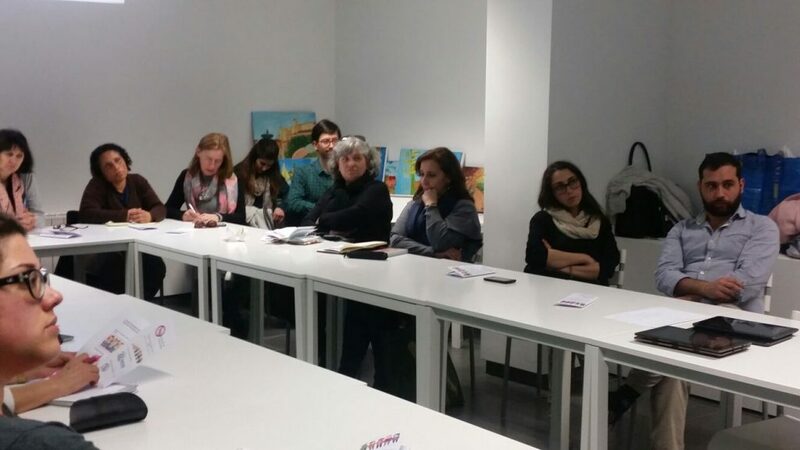 The partner institutions of COLABORAR from Porto gathered at Fraunhofer AICOS to discuss a range of issues related to older adults and the partnership we have. Held at our Software Lab, the meeting was meant to be an opportunity to show our facilities and gather with the staff and directors of the different institutions: day-care/living centres, services of home care and municipalities. We were joined by different professionals who work with older adults: social educators, social workers, sociocultural animators, sociologists and a nurse. Despite spending much time at the centres, we had never had the chance of bringing professionals together at Fraunhofer. We also never had the chance before of listening to their perceptions on our work with seniors, as well on the positive and negative aspects of the partnership. Some statistical data extracted from the COLABORAR questionnaires were presented. We also presented some of Fraunhofer’s projects already finished. We told our guests that they can always come to us to explain the needs they identify in the field, because they know seniors, their conditions and even the main problems they face. This meeting was also an opportunity for professionals to get to know each other and exchange contacts. And finally, on the agenda were photos of the event and a video! This past weekend, Fraunhofer AICOS participated on “Feira da Família – Gaia + Saudável”. 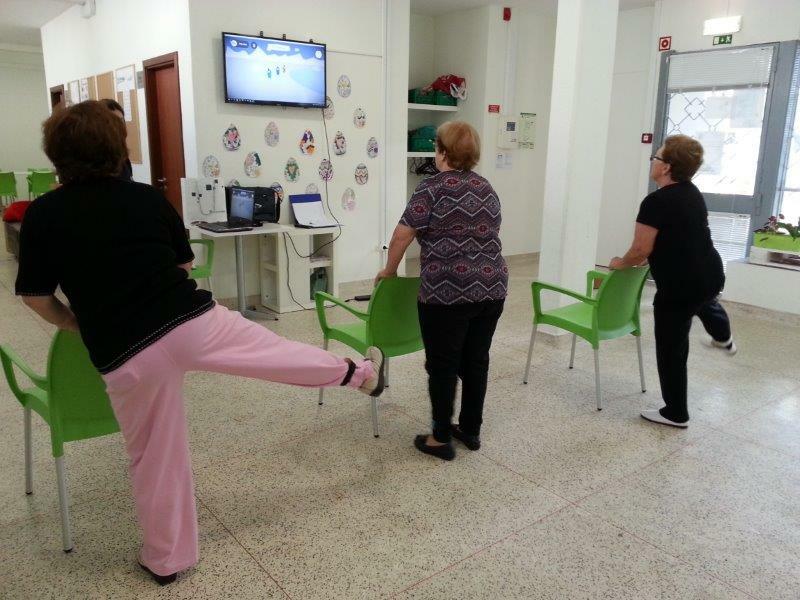 We were invited by CliniCuidados, a partner institution of COLABORAR, to display the ExerGames. The event was organized by CCSaúde, having Câmara Muncipal de Gaia as the main sponsor, and took place at Centro Cívico de Gaia, in Vila Nova de Gaia. 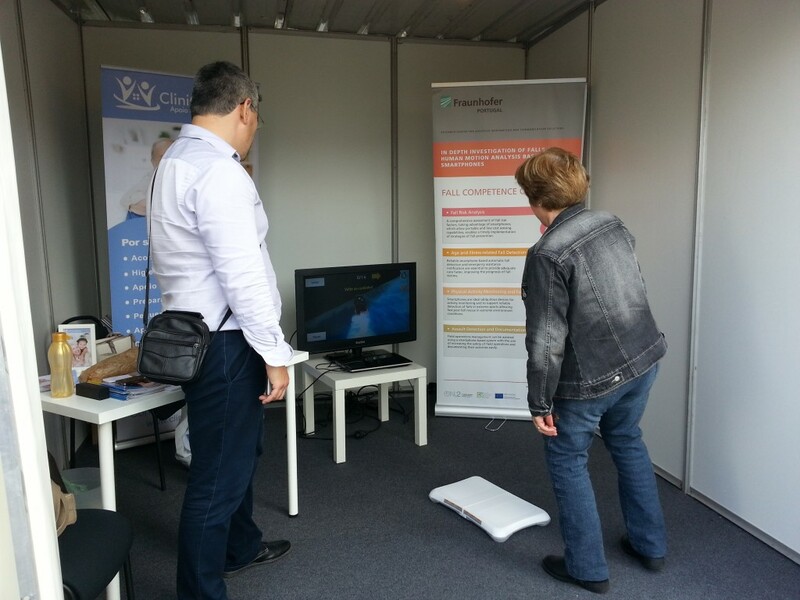 Fraunhofer showcased the ExerGames, the serious games for fall prevention. 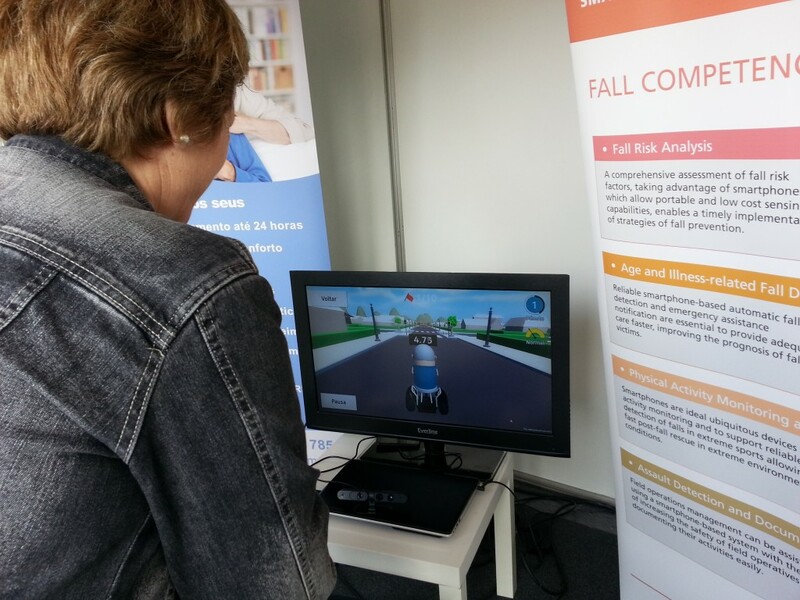 The visitants of the fair had the opportunity of trying out the games and achieve awareness of how one can, in the comfort of their own home, work to reduce the risk of fall by exercising with the guidance of these interactive games. COLABORAR was also present and senior visitants were invited to join the user network. This was an event for the entire family. Adults could make some health screening tests; seniors, on the other hand, got some advice related to the promotion of healthy habits and technical aids. For the kids, the fair was animated by spider men, giant mattresses, popcorn and candies. And the performance of Rancho Folclórico was a moment of happiness for everyone! 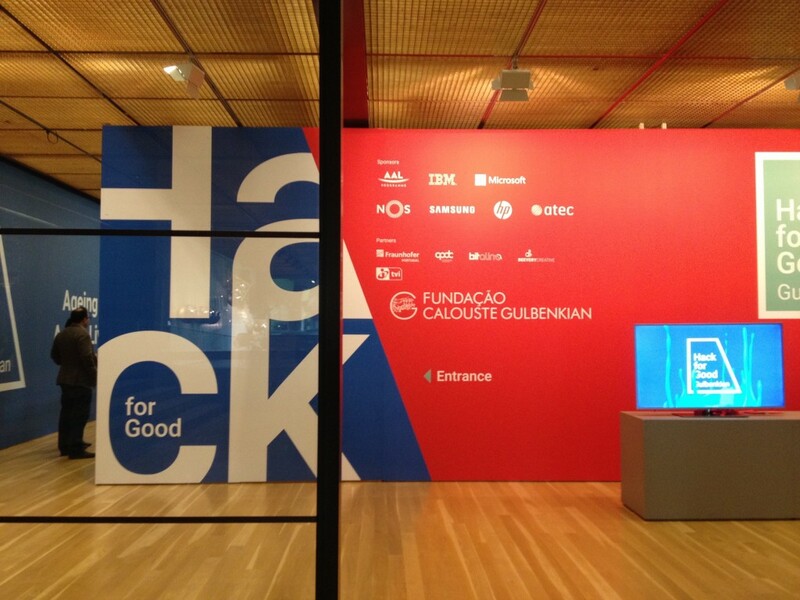 Fraunhofer Portugal is amongst the organizations that supported the Hackathon named Hack for Good, organized by the Calouste Gulbenkian Foundation. This Hackathon aimed at fostering the development of innovative technological solutions and in this 1st edition the theme was “Ageing and active living”. The initiative had the purpose of generating solutions to address ageing-related challenges. 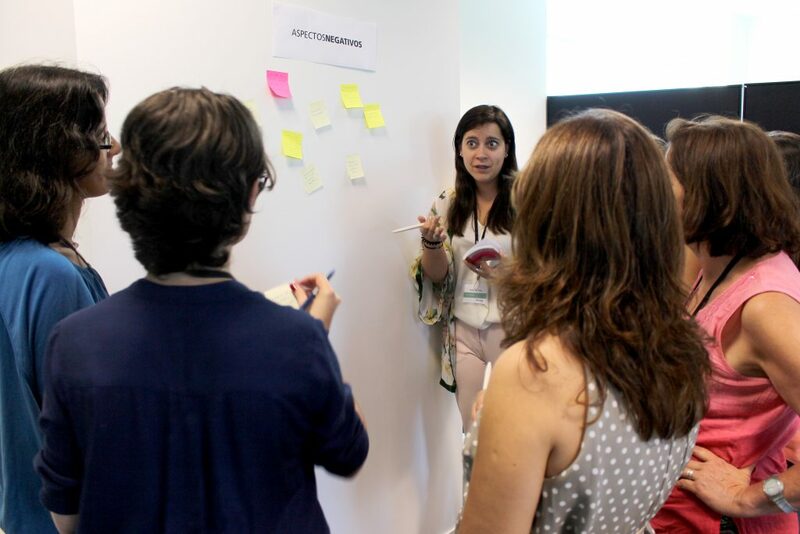 Fraunhofer Portugal helped to define the main topics for the event: Communication and Social Relations, Cognitive Stimulation, Knowledge Transfer and Shared Economy, Health and Welfare, Formal and Informal Caregivers, Nutrition, Mobility and Personal Finances. 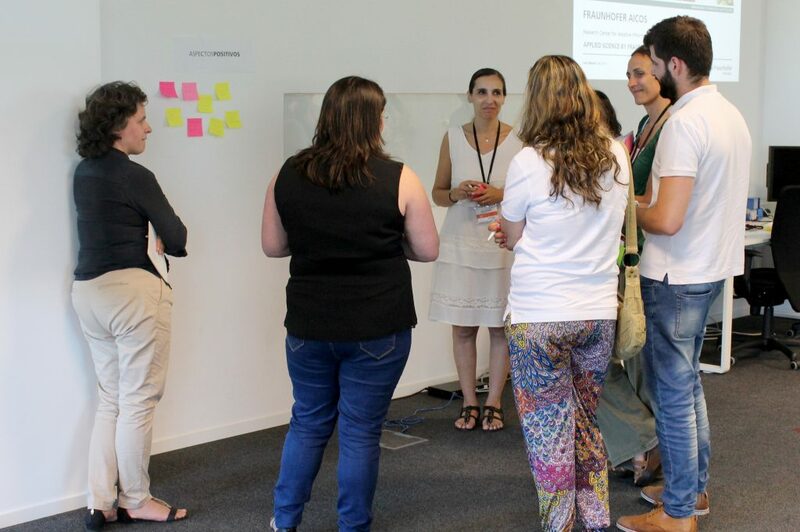 Furthermore, Fraunhofer Portugal produced instructions to support groups in designing inclusive solutions which take into account older people as users. 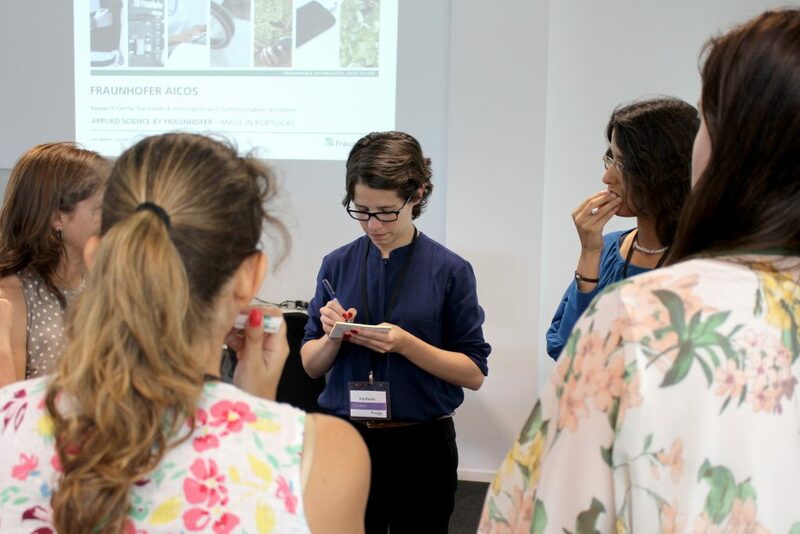 Ana Correia de Barros, from Fraunhofer Portugal, participated as a mentor and as a member of the pre-jury team during the two-day event, taking place on April 23 and 24, in Lisbon. At Fraunhofer Portugal we work in projects related to these topics and we already have a large experience in developing products and services for seniors. 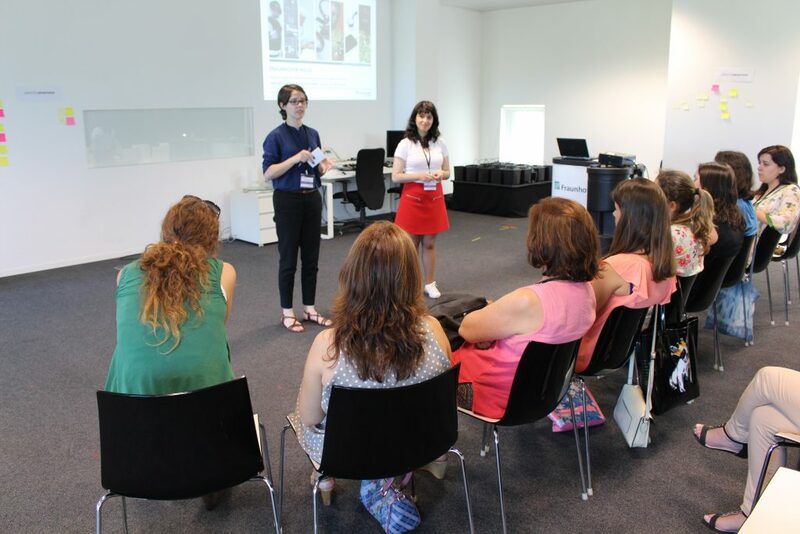 Therefore, Ana, as a mentor, helped participants to understand the challenges related to ageing. 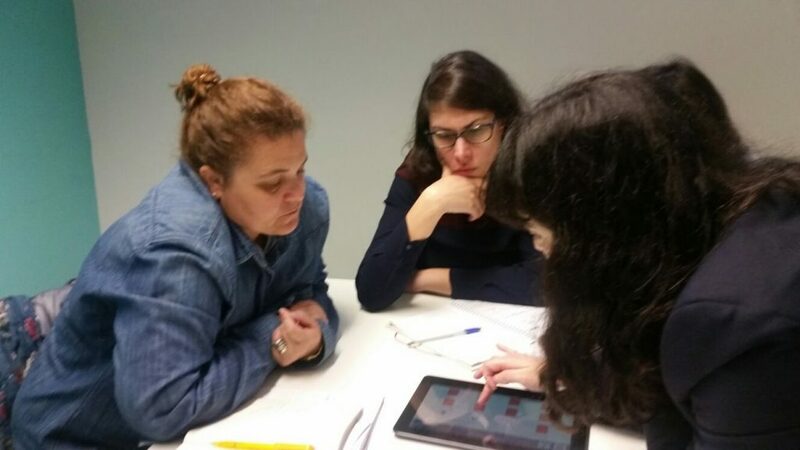 As a pre-jury member, Ana helped to select the 10 finalist ideas, which were presented to the final jury. 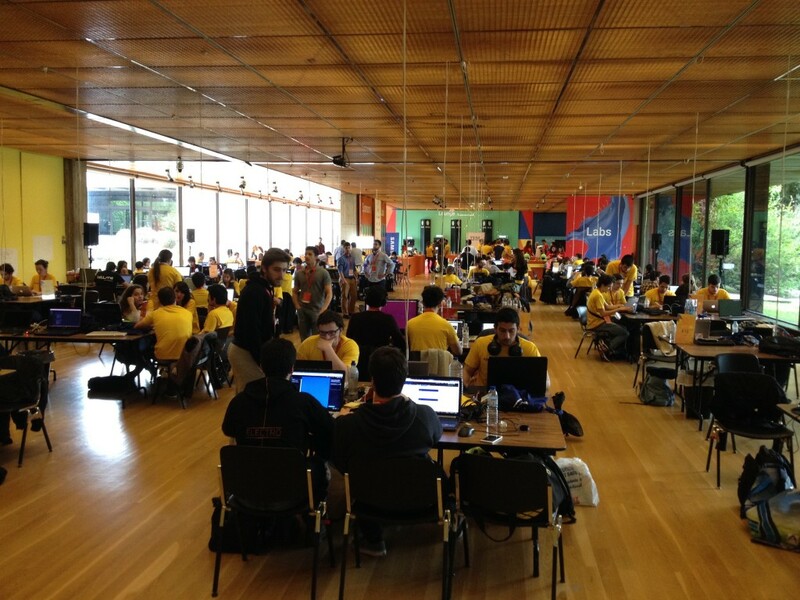 From a total of circa 400 registrations, 157 participants were distributed into 36 small teams. Participants had different backgrounds, such as engineering, health and social professionals, design and management. This interdisciplinary nature is a plus and it was an excellent opportunity to get specialists in technology and ageing to work together. Additionally, seniors were present as well, giving important feedback about the idea. There were also entertainment activities, workshops and networking moments for participants. In the end of the event, the 10 finalists pitched their ideas to the jury and three winners came out. These three awarded ideas were solutions to: support informal caregivers (1st prize), encourage self-monitoring of health and social interaction through gamification (2nd prize), and support to self-mannagement of medication (3rd prize). At the closing sessions, we were delighted with two great announcements: all 36 teams will be invited to pitch their ideas and receive mentoring, and this Hack for Good is only the first of many to come! After such a successful first edition, the Calouste Gulbenkian Foundation wants to repeat the initiative. What an excellent weekend! COLABORAR is glad that Fraunhofer Portugal was a partner of this development marathon to put technology at the service of seniors. 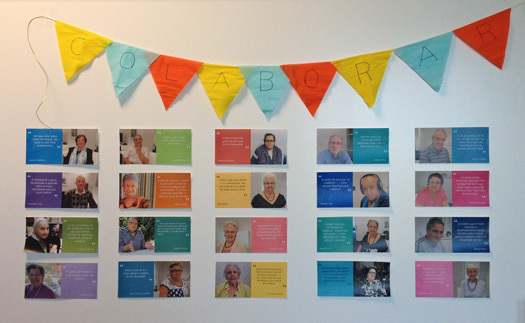 COLABORAR just created a Hall of Fame on its Website, making known some of the senior volunteers of the user network COLABORAR. The volunteers are sharing their experiences of participating on this project. 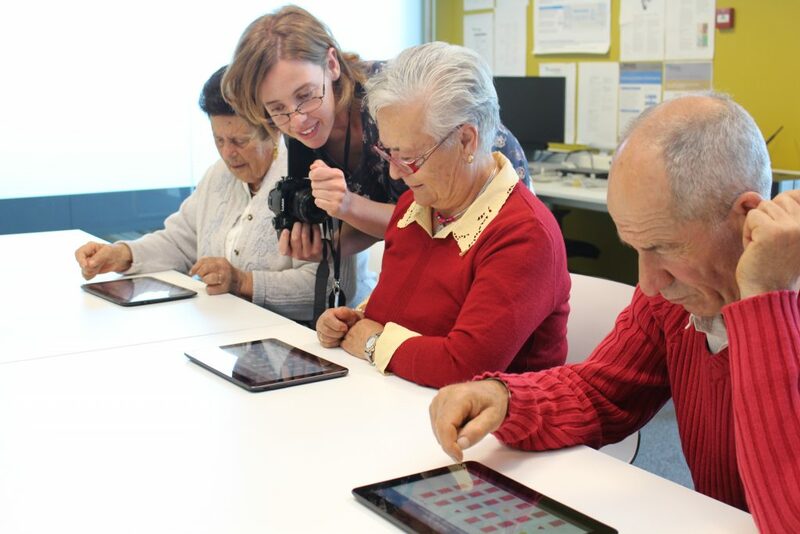 Their words show the enthusiasm about being part of this user network and this fantastic project that brings together seniors and researchers on projects that are shaping a brighter future for all of us. More than participants in research for new technologies, we can say that three years after the beginning of the project, we have friends who enrich us both professionally and personally. At Fraunhofer AICOS, the Hall of Fame holds a special place on the hall of the Living Lab.